Six Flags Over Georgia celebrates decades of entertaining music fans on its final production. The theme park, located in Cobb County, GA, has your ticket to hear some of today’s biggest names in Christian music, and to be a part of history as you attend the last production at the park’s iconic Amphitheater. 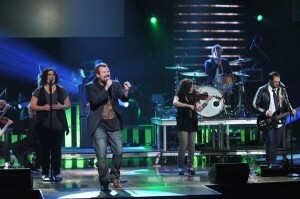 On August 17th, the park will host Six Flags Celebration, a day-long concert series featuring contemporary Christian artists Casting Crowns, Jeremy Camp, RED, and many others. Since the rotation of its first turnstile in 1967, the theme park has been committed to pushing the limits on entertainment, while satisfying eager thrill seekers and energetic music fans alike. 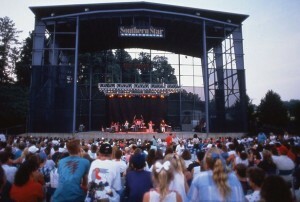 With the development of the Southern Star Amphitheatre in the 1980s, the theme park became a haven for park-goers to unwind and enjoy some of their favorite artists. This 8,000 seat, plus 4,000 lawn/festival seating, capacity venue has played host to some of rock and pop’s most popular artists over the years, which makes it hard for music lovers to see this iconic venue torn down. Although the park will close its outdoor concert grounds this Fall, Six Flags will continue to provide a summer destination spot for the young, and young-at-heart, to let loose and enjoy some of the top attractions the state has to offer.